HeroQuest Glorantha PDF - Chaosium Inc.
Click the button below to add the HeroQuest Glorantha PDF to your wish list. Glorantha is the most elegant, original, and imaginative fantasy setting since Middle Earth. It is a world of exotic myth and awesome magic, self-contained and unique in its creation. 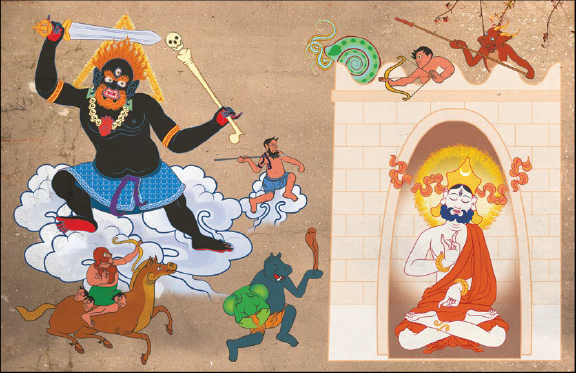 The existence and use of the magical and mythic realms are central to the physics of Glorantha. Here the gods and heroes guard and guide their followers, sharing magics while pursuing their own enigmatic ends. Glorantha’s detailed cultures, histories, and myths are shaped by gods, heroes, and magic, and yet are plausible and logically self-consistent. 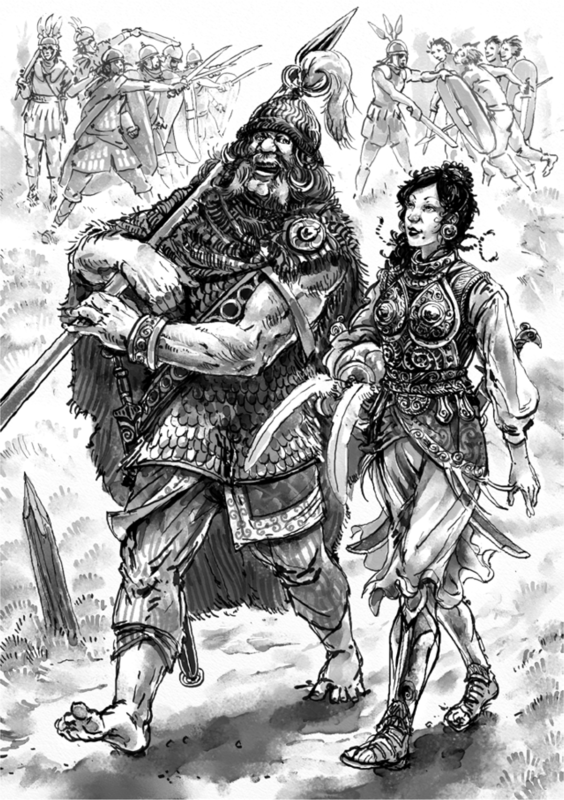 Glorantha has been the setting for the Dragon Pass board game, the original RuneQuest roleplaying game, and the award-winning computer game King of Dragon Pass. Glorantha is fully described in the Guide to Glorantha, available from Moon Design Publications. HeroQuest Glorantha is the HeroQuest 2 rules system specifically tailored for Glorantha. It presents a simple rules system that allows Game Masters to run games modeled on ancient myth, epic sagas, and tales of high adventure. HeroQuest encourages creative input from players, resulting in an exciting, unpredictable narrative created through group play. "HeroQuest Glorantha brings together everything that a game set in Glorantha needs to get started… and does so in one well-written book. "—Reviews from Rl’yeh. 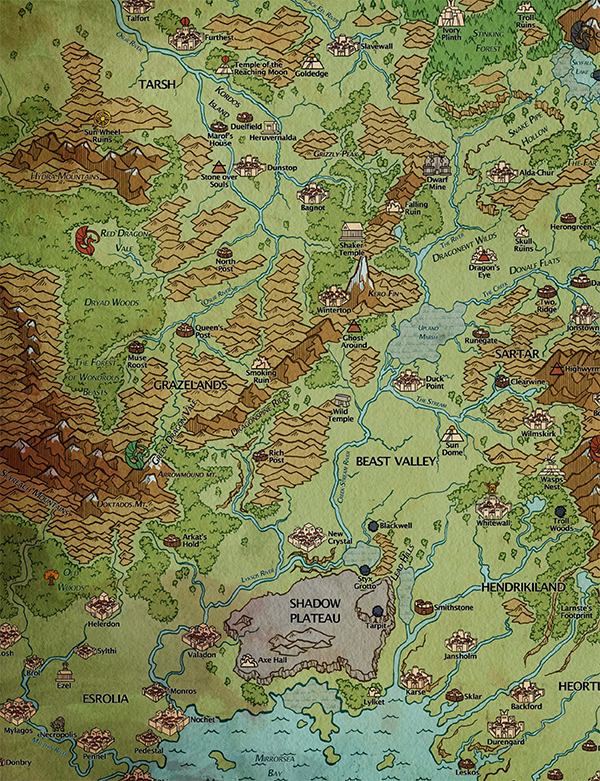 "To me, Glorantha is about stories, and HQG is the best tool I have to explore that… for purposes of pure storytelling--Glorantha or otherwise--I have yet to find a gaming engine that works as well as HeroQuest does. "—Andrew Logan Montgomery, Exploring the Otherworlds of Fiction, Magic, and Gaming. "…the purest example of a narratively-focused tabletop RPG out there that still plays more-or-less like a traditional tabletop RPG... something that I think anyone interested in that style of play should check out. "—Play To See What Happens. If you add the HeroQuest Glorantha to your cart, you should add the HeroQuest Glorantha PDF to your shopping cart after you add the physical book in order to receive your FREE PDF. 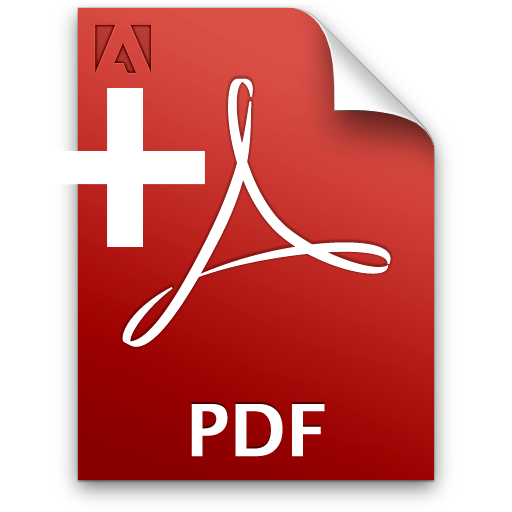 Please check your shopping cart for a link to the PDF before you begin the check out process.